Zhukovsky airport (ZIA), Russia’s fastest growing airport, expects traffic growth to slow to a high double-digit rate this year compared to the remarkable 173 per cent improvement it experienced in 2018. Last year, Moscow’s youngest airport handled some 1.162 million passengers, figures released by airport operator Ramport Aero reveal. After its impressive improvement Zhukovsky climbed to 26th in the ranking of Russia’s airports, up from 46th in 2017. In the period, the number of aircraft movements rose by 133 per cent from 3,345 to 7,794. Ural Airlines was the main contributor to ZIA’s growth. The Yekaterinburg-headquartered airline doubled its operations through Zhukovsky and was accountable for 52.6 per cent of its entire traffic last year. 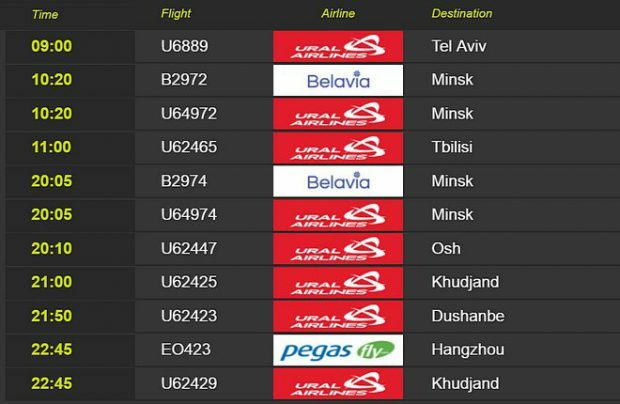 Belavia Airlines was the second largest contributor with an 18.5 per cent share, after the Belarus’ flag carrier increased the frequencies of its route linking Moscow with Minsk by 30 per cent to 120 monthly flights, on a route which also achieved Zhukovsky’s highest seat load factor. Other popular destinations in ZIA’s network are Simferopol in the Crimea, Osh in Kyrgyzstan, Tbilisi in Georgia and Tel Aviv in Israel. Although ZIA is located only 25 km from the Russian capital it enjoys a unique ‘regional’ status that allows it to generate lucrative new international traffic by avoiding the constrictions of bi-lateral international agreements for routes serving the capital. Moscow’s airports collectively served close to 100 million passengers in 2018, a total which accounts for almost half of all the nation’s civil air traffic. Due to its unique status, Zhukovsky is Russia’s only airport that enjoys a heavy predominance of international over domestic flights. Last year the ratio was 9:1 and Ramport Aero intends to reduce the share of international traffic to 75 or 80 per cent in 2019, manager Alexey Ignatenko has told Russian Aviation Insider. The passenger numbers target for this year is two million at a projected year-on-year growth rate of 70 per cent. Had the airport managed to reach that milestone last year, it would have entered Russia’s top-20 airports list. In the meantime, Ramport Aero is continuing to develop the airport’s infrastructure, Ignatenko emphasises. The airport operator is currently reviewing the general plan and hopes to complete design works for the expansion of its existing passenger terminal this year. “The floor area will increase from the existing 17,000 sq m to 40,000 sq m and the construction work is planned to be completed before the end of 2020. The project also includes expansion of the aircraft parking areas and an overall upgrade of the ground infrastructure to improve and expedite passenger service,” Ignatenko concludes.